This homemade Gluten-Free Vegan Healthy “Cadbury Creme Eggs” recipe is an easy and fun Easter dessert to make with only 7 clean ingredients and they’re naturally colored with organic ground turmeric powder! 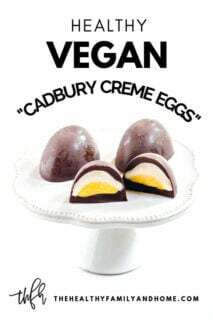 If you remember enjoying the classic “Cadbury Creme Eggs” in your Easter basket as a child, it’s very likely you weren’t wondering if they were vegan or not – I know I wasn’t! They contain dried whey (milk), dried egg whites and milk. 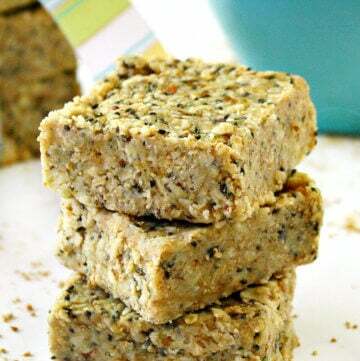 So I recreated this classic Easter treat by using clean ingredients that are vegan and gluten-free so you don’t have to miss out on childhood memories. 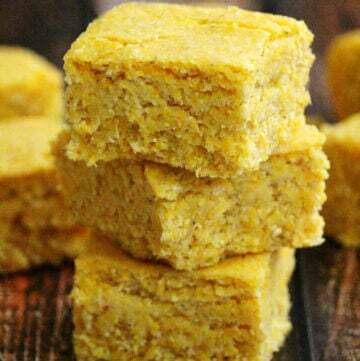 I even naturally colored the yellow part of the filling with organic turmeric powder so you don’t have to worry about any unhealthy food colorings. But – you just have to buy this cute silicone egg mold, because if you’re like me, you won’t be able to stop making Easter “egg” treats. 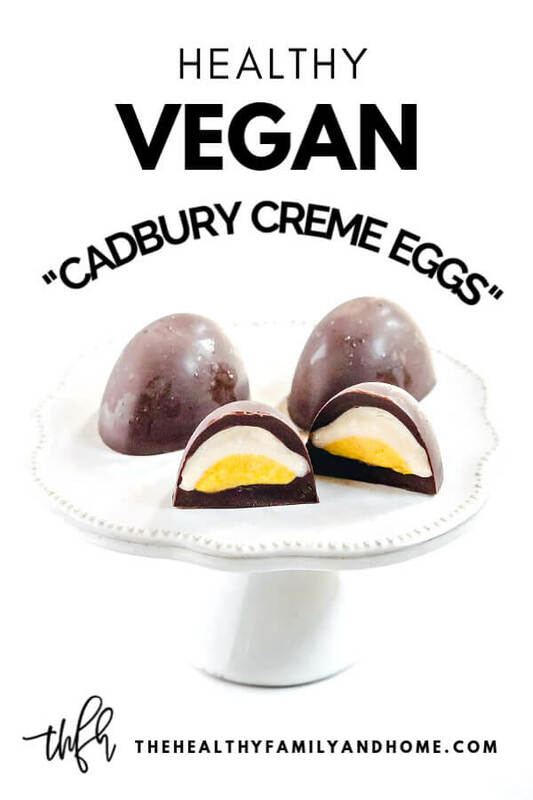 Are These “Cadbury Creme Eggs” Vegan? The original store-bought eggs are NOT vegan, but my recipe is 100% vegan. You just need to make sure you use this organic vegan powdered sugar because most powdered sugars contain animal bone char to whiten them. Are These Gluten-Free Vegan “Cadbury Creme Eggs” Healthy? In my opinion, they are definitely healthier than the store-bought version. 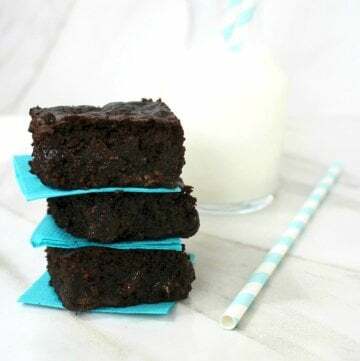 Ingredients: Sugar, Milk, Glucose Syrup, Cocoa Butter, Invert Sugar Syrup, Dried Whey (From Milk), Cocoa Mass, Vegetable Fats (Palm, Shea), Emulsifier (E442), Dried Egg White, Flavorings, Color (Paprika Extract). My Gluten-Free Vegan Healthy “Cadbury Creme Eggs” are made with only 7 clean ingredients and are vegan, gluten-free, dairy-free, egg-free, paleo-friendly and do not contain refined sugar. What Ingredients Are Needed To Make Gluten-Free Vegan Healthy “Cadbury Creme Eggs”? It’s really easy to make this fun dessert with just a few steps. You’ll want to make sure you have this silicone egg mold before starting. 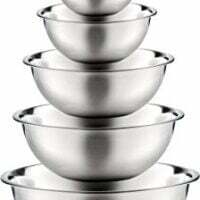 Make the filling: This easy step only takes a few minutes because all you need to do is add the ingredients for the filling to a bowl and stir everything together. 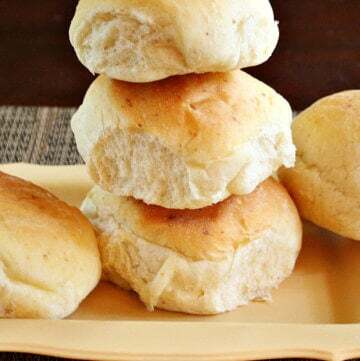 You’ll reserve a small amount to use for the “yellow” filling and naturally color it with organic ground turmeric powder. 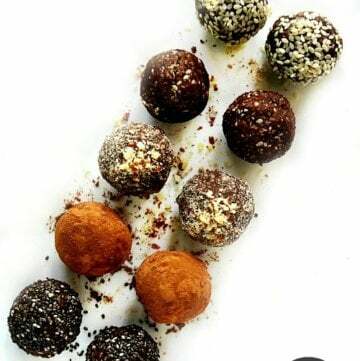 Make the chocolate coating: This step also only takes a few minutes by adding the ingredients for the chocolate to a small saucepan and melting until it’s smooth. 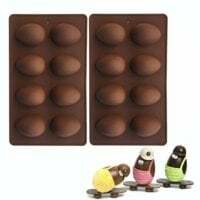 Once you’ve made the filling and chocolate, all you need to do is assemble them into the egg mold and then let them firm in the freezer before enjoying. 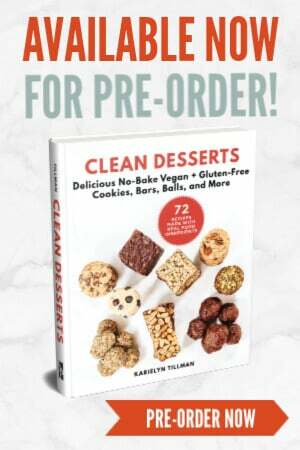 Want More Healthy Gluten-Free Vegan No-Bake Dessert Recipes? 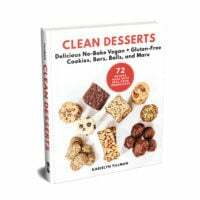 or my CLEAN DESSERTS Cookbook with 72 No-Bake Gluten-Free + Vegan Dessert Recipes made with clean, real food ingredients just like this one that you will love! Did You Make My Gluten-Free Vegan Healthy “Cadbury Creme Eggs” Recipe? 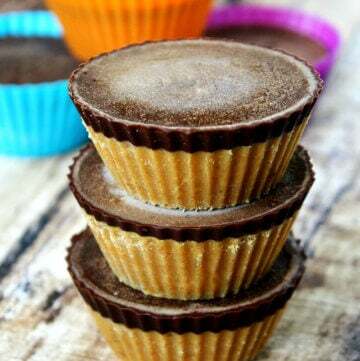 Gluten-Free Vegan Healthy "Cadbury Creme Eggs"
Prepare the egg mold by placing it on a cookie sheet in the freezer to chill while you work on the rest of the recipe. 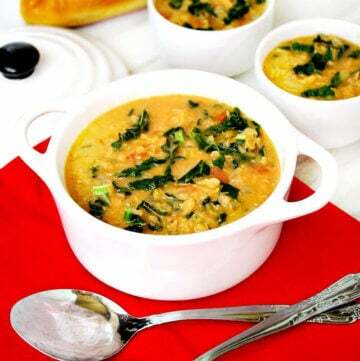 Add all ingredients for the creme filling to a medium-sized bowl and stir until it is smooth. Take out 1/4 cup of the mixture and transfer to a small bowl. Add the ground turmeric add-in to the mixture in the small bowl and stir until it is smooth. Transfer the small bowl of yellow creme filling to the freezer to firm while you work on the rest of the recipe. Add all the ingredients for the chocolate to a small sauce pan and stir on lowest heat until is is melted and smooth. Take a tablespoon of the melted chocolate at a time and place it in the bottom of each egg mold, using the back of the spoon to completely coat the inside of the egg mold. Make sure you only do one egg mold at a time because the chocolate will start to harden as soon as it touches the chilled egg mold. 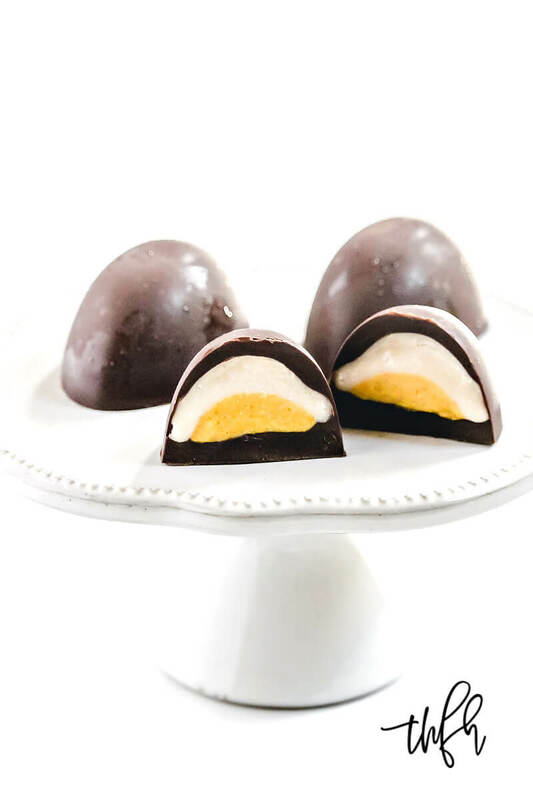 Divide the white creme filling equally between the 8 egg molds and place it in the center on top of the chocolate. 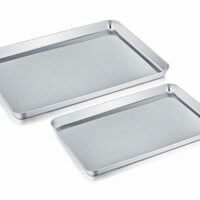 Place the cookie sheet with the egg mold in the freezer to chill for 15 minutes. Remove the cookie sheet with the egg mold from the freezer. 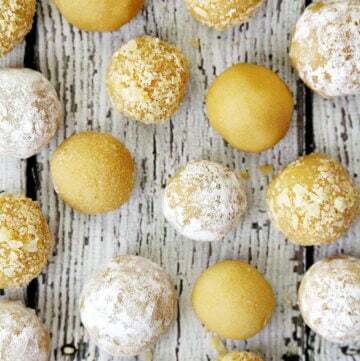 Take out a small scoop of the yellow creme filling at a time and roll it into 8 small balls. 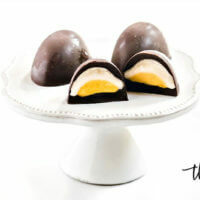 Place one yellow creme ball into the center of each egg mold on top of the white creme filling. Take a tablespoon of the melted chocolate to cover the fillings up to the top of each egg mold. 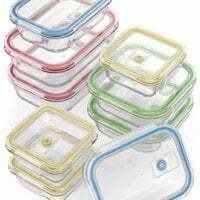 Place the cookie sheet with the egg mold in the freezer for approximately 60 minutes, or until the chocolate hardens. 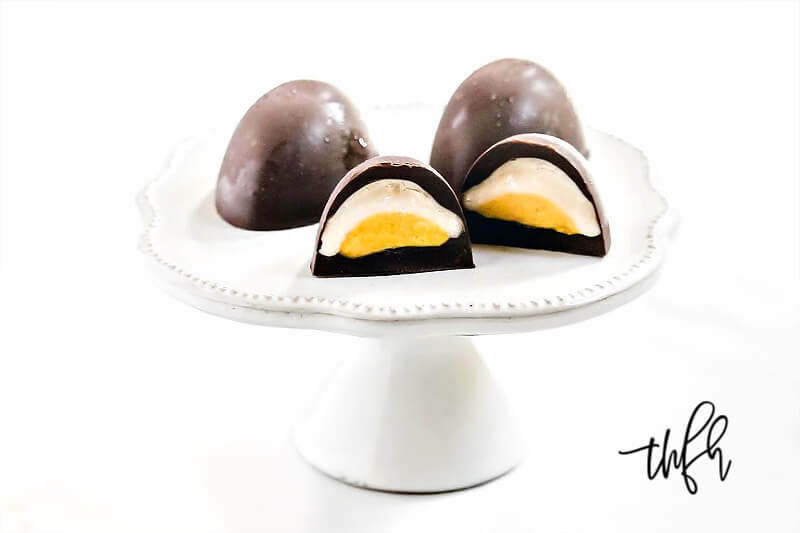 Copyright Notice: The recipe and photographs for "Gluten-Free Vegan Healthy Cadbury Creme Eggs" by Karielyn Tillman of The Healthy Family and Home website are copyrighted material and are protected under the Digital Millenium Copyright Act (DCMA). They cannot be used legally without my written permission.